After making making a few tops and skirts that I am happy with, I wanted my next project to be a dress. I’m not very keen in the idea of always having to go through the fitting process when using a new pattern, so wanted to make a classic sheath dress that I could then use as a block and adapt into different styles. 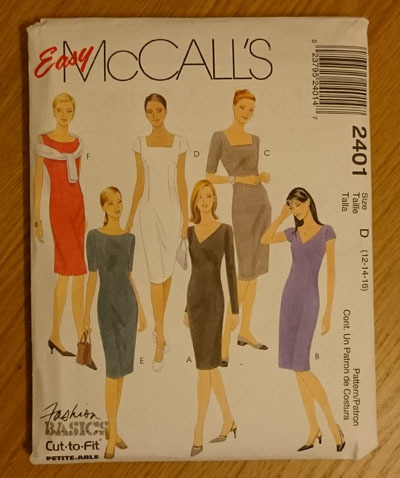 McCalls 2401 seemed to fit the bill nicely and I’d brought some lovely needlecord that I thought would work well in the sleeveless slash neck version if I widened the hem a little (as I don’t like skirts that restrict my movement) and added some patch pockets. I’ve realised I need a reset and the satisfaction of completing something wearable, so have ordered some black viscose and will make another Belcarra as I can go straight to cutting and should have something I’ll actually want to wear soon. Fingers crossed anyway! Interestingly, Sunni at A Fashionable Stitch has recently written a post that touches on overfitting, I most definitely seem to have fallen into this trap! Have you ever gotten stuck in a rut like this? Wow Alex – you have a lot of toiles there! Sounds like you definitely need to cut out and sew your black Belcarra top to get your sew-jo back on track. I felt a similar lack of motivation after spending so long sewing my 1960’s coat – the skirt I made after that had already been cut out and I had made two previous versions so felt confident in the fit. 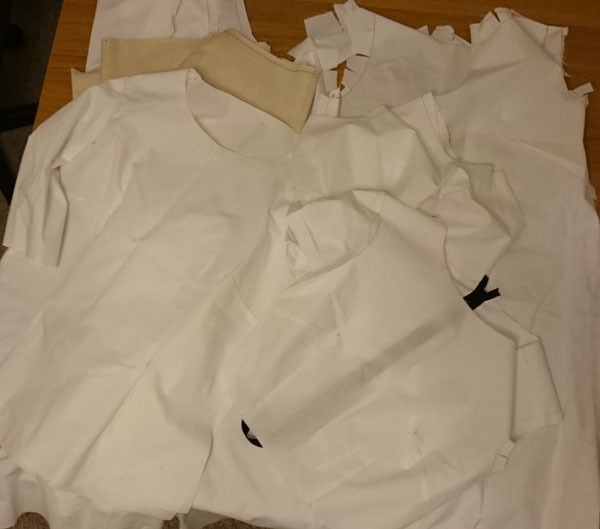 I now have a long list of potential patterns to make and have the ‘fun’ of fitting to come on what-ever I make next. I also have lots of fabric stacking up which I need to cut into rather than have it stuck in my stash pile! Glad to hear I’m not the only one! I’ll need to get another pattern or two to the well fitting stage so that I’ve got more than one option for when I need a straight forward project. Hope your next fitting process goes smoothly!